When British engineer Tal Golesworthy learned his aorta was in danger of rupturing due to complications of Marfan syndrome, he decided to take an active role in his personal health by designing and creating his own cardiac implant. Marfan syndrome is a disorder that affects the body’s connective tissue, including cardiac tissue. 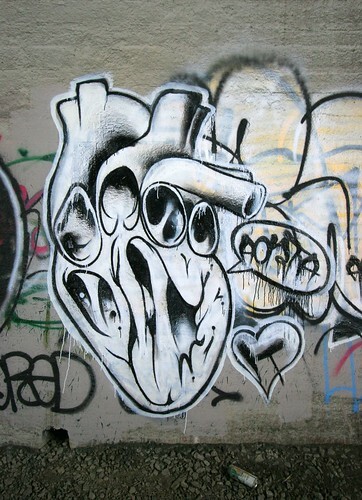 Upon learning of his need for surgery, Golesworthy created a custom implant using magnetic resonance images of his aorta and computer-aided drafting software. Through rapid prototyping, he was able to create an exact model of his aorta and then create a textile implant to fit it. How would you spend 30 million dollars? 1. Nanofactory collaboration, Robert Freitas, Ralph Merkle – developers of molecular nanotechnology and nanomedicine. Robert Freitas is the author of the monography Nanomedicine. 1. The project: “Creation of technologies to grow a human liver” – $7 million. The project itself costs approximately $30-50 million, but $7 million is enough to achieve some significant intermediate results and will definitely attract more funds from potential investors. 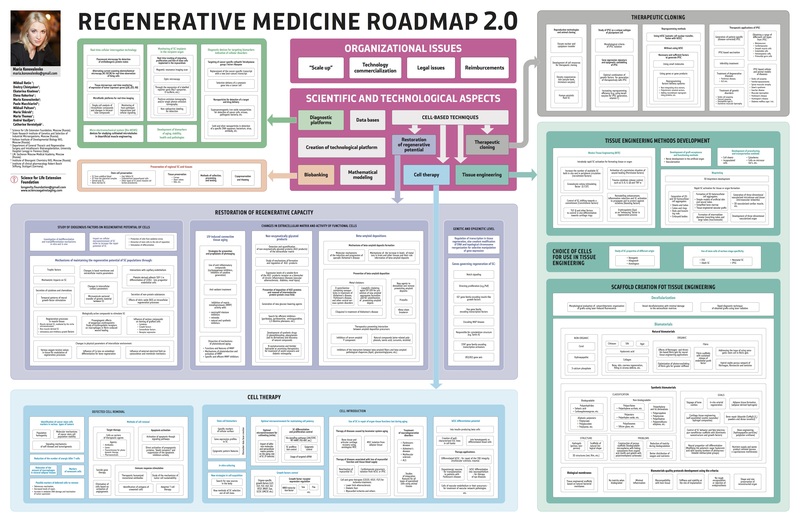 Here is the updated edition of the Roadmap to Regenerative Medicine; the first one can be found here. Cell therapy and tissue engineering are described in more detail, than the rest of the scientific issues. I welcome everybody to take a look and add what’s missing and/or change what’s wrong. I’d also like to note that the organizational issues aren’t described at all, but this is probably the most important part of the roadmap. There should be an implementational plan of how exactly the Roadmap should work included in the organizational part. To do that, we need to address the specialists in the given fields. But at least for now the question is – what’s missing in the scientific part? Here you can download the Roadmap Poster-REG-MED_ENG_04-2011_new.